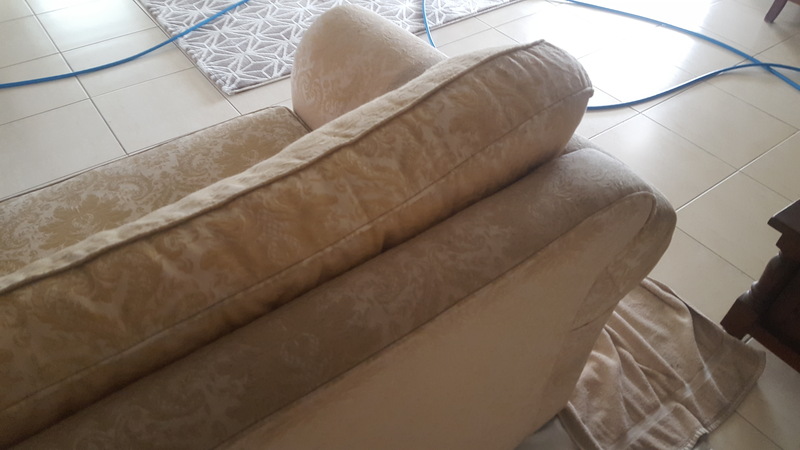 In a customer’s home at Albion Park we were recently asked to clean a two-seater lounge that was showing obvious signs of a lot of use and had not been cleaned for a long time. 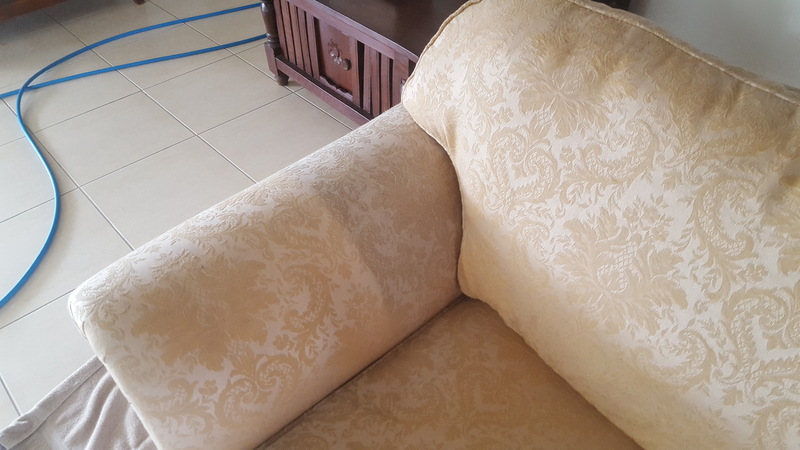 Being an older couch, it had armrest covers which the owners had removed and put through the wash, resulting in an obvious line from clean to dirty on the armrest. Pre-spray on the stained areas. Standard wet/foam clean on the other parts of the sofa. 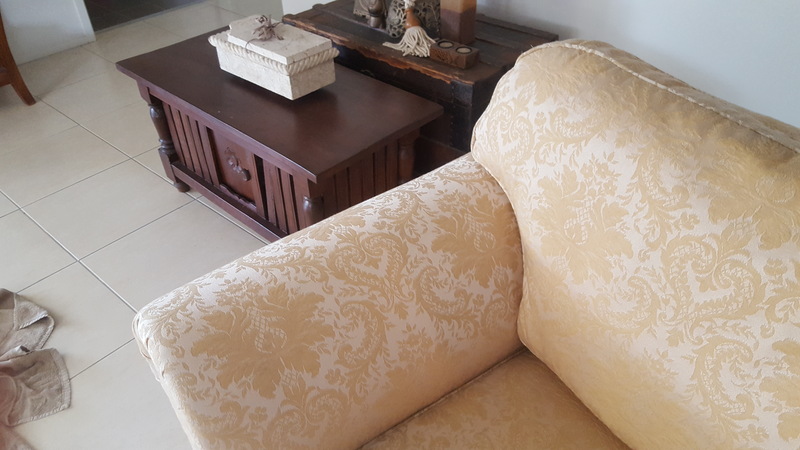 The result – stained areas came up well, looking fresh and clean, but we went over the rest of the lounge a second time to make sure it came up even better and voila, it did and was way, way better than the first time. 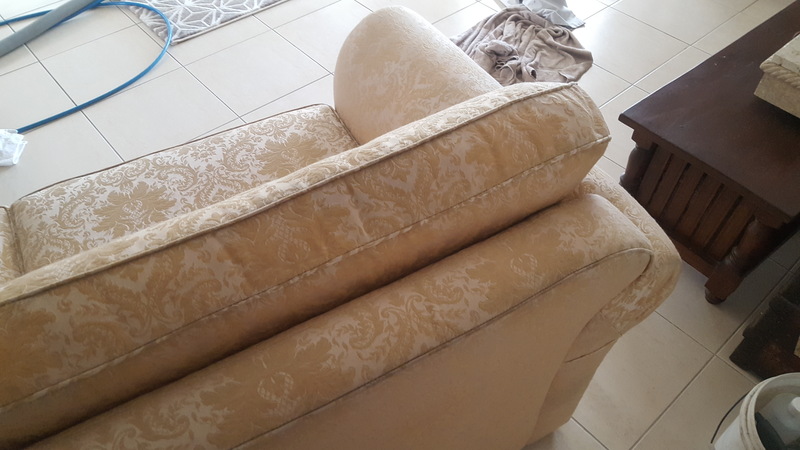 As you can imagine, our customer was very happy and satisfied and gave us some very positive feedback. Were punctual, arriving at the agreed time and getting straight to the job. 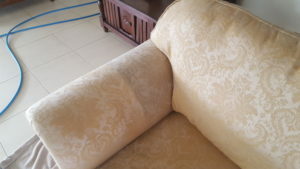 Had a professional approach to the service we were delivering – cleaning the upholstery on their lounge. Were careful with their other furniture, taking care not to bump anything with our equipment.